Two minutes later, totality ended - and so did the cloud cover. The distinct golden light of a very large partial eclipse appeared like a diamond ring as a patch of clear sky uncovered the Sun at the same time as the Moon was doing the same. The purpose of the journey was simple. On 20 March, a total eclipse of the Sun was scheduled to happen. These eclipses are visible along a relatively narrow path that sweeps across the Earth, the so-called Path of Totality. Our journey would take us to this path over a four day period. It began with a taxi leaving our house at 8:45am. The journey was fast apart from the final few hundred metres where traffic slowed us down. At Farringdon Station we boarded a southbound train to Gatwick Airport leaving at 9:30. Our road delay meant that the train was already on the platform as we arrived. We arrived at the airport at 10:25 in good time. So far our journey had taken us away from the Path of Totality. "Please switch off all Apples, Blackberries, gooseberries and raspberries. Please open the window shutters so that the pilot can see where he is going. You have been a great audience. Thank you and goodnight." We then boarded a train at 5:30pm heading North. After a spectacular sunset, it got dark. We went through undersea tunnels, over bridges and through various towns and cities. At 11pm we arrived at Hjorring where we joined a private shuttle service for the 30 minute journey to Hirtshals. A short walk from the deserted station brought us to our hotel just before midnight. Next morning at breakfast we met our first fellow eclipse chasers. We also met Bonnie and Mari who had been with us at previous eclipses. The four of us visited the Oceanarium by taxi, spending a couple of hours observing various denizens of the deep. Another taxi took us the short but unsheltered distance to the port. Here we boarded the Norrona ferry, part of the Smyril Line fleet. Cabin 5101 would be our home for the next eight nights. Our passage included breakfast and evening meal over that period. Our home for the next week consisted of bunk beds, a small desk, shower and toilet room and a window looking out to sea. We departed at 9pm into the darkness heading North West. 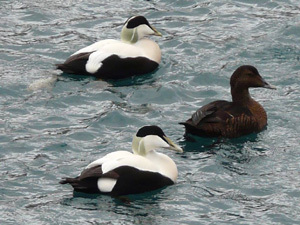 We spent all of Sunday in the North Sea, passing the Shetland Islands and some oil rigs. As we entered the North Atlantic Ocean the swells increased. There were many bars, cafes and restaurants on the eight level ferry and lots of people to meet. The deck was cold and windy but the weather was sunny. I made four short presentations about the eclipse to various groups from around Europe. On Monday morning we finally entered the Path of Totality after a journey consisting of taxi, train, flight, train, train, walk, taxi, taxi, ferry. 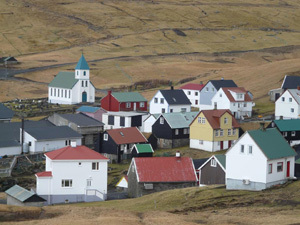 Shortly after, we arrived at Tosrhavn, the village like capital of the Faroe Islands. 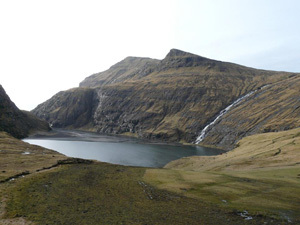 The Faroes are eighteen windswept and tree-less islands in the North Atlantic Ocean. 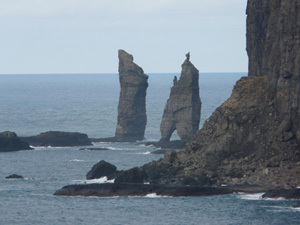 They are separated by deep sounds and punctuated by fjords. They are a self-governing part of Denmark and speak their own language which is closer to Icelandic than to Danish. 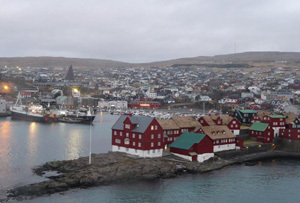 Torshavn is easily walkable and is full of traditional maroon coloured houses often with turf roofs. 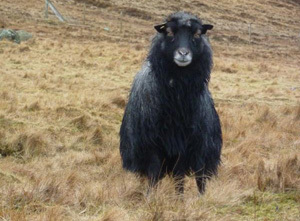 Turf is a good insulator from the cold winds and rain. People were friendly and looking forward to the eclipse. We hired a car and were able to explore the islands on the good roads. 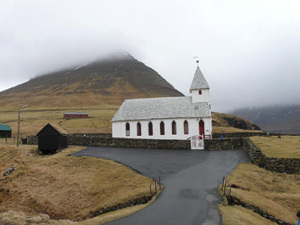 We saw many fjords, snow capped peaks, remote mountain villages, timber churches, fishing settlements and lots of sheep. 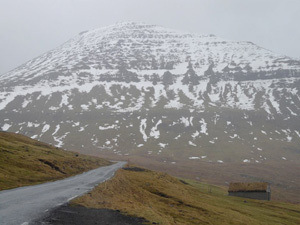 We stopped many times for photos of the dramatic landscape. Many of the islands were connected by bridges and tunnels. Most tunnels were two lane and lit. On the more remote islands we had to pass through single file tunnels with no lights and pull-offs every 100m. 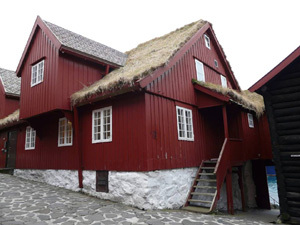 There were a few small museums based around farm houses, an apothecary and even a Saga Museum. Each day would be spent exploring the islands and returning to our floating hotel for a hearty buffet supper followed by a lecture, bingo, music or time just spent chatting to people. On the second night we saw the Northern Lights from the upper deck. The crew switched the deck-lights off and I was able to take some photos. 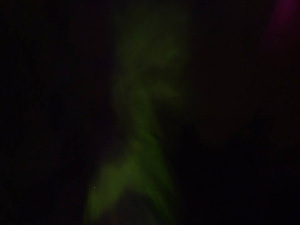 This was my first view of the aurora. We were up at 6am and staked our place on the ferry's top deck. Space was already at a premium. I set up my tripods and had some coffee and a Danish Pastry. It was cold, cloudy, windy and wet. Not the best conditions to see an eclipse. 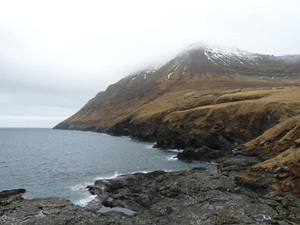 During our week in the Faroes I had lost a glove and a bobble hat. More importantly I had discovered my right shoe had a hole. And it was letting in water. The flooded deck was making my foot cold and wet. I borrowed a pair of boots from one of the crew. I was now slightly more comfortable. The weather was very changeable. Sometimes it rained. The rest of the time it was cold, windy and cloudy. Occasionally, clear patches of sky would appear. The deck filled with people. First Contact was at 8:38am. There was no Sun to be seen. 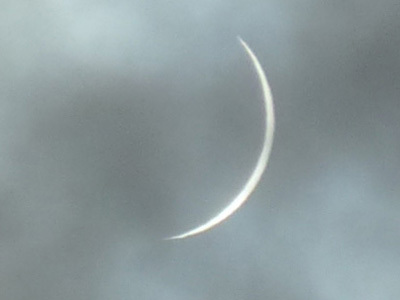 Around 9am the Sun peaked through the clouds and we could see about 50% of it was covered by the Moon. The clouds and rain meant there was little change in the ambient light. Around 9:20 we spotted a rainbow in the West. The cloud kept arriving with occasional clearing. It looked "touch and go" whether we would see totality. 9:30 came and the light began to disappear. It got darker and darker and I photographed the scenery as the light faded. About a minute before totality my camera battery succumbed to the cold and damp and expired. I switched cameras. Totality arrived at 9:40 and the light dropped dramatically to that of a late twilight. The clouds had not cleared. There was no corona - just darkness all around. Through gaps in the clouds an orange glow could be seen in the South where we were closest to the edge of the Moon's shadow. I could hear singing from a female choir. The gulls which had been flying around were now absent. The lights from a nearby cargo vessel came on. We had missed seeing the eclipsed Sun during totality by seconds. The newly cleared sky was an intense blue colour. I spotted Venus to the left of the Sun. Twice. And then it was gone. The landscape lit up and the Sun shone. 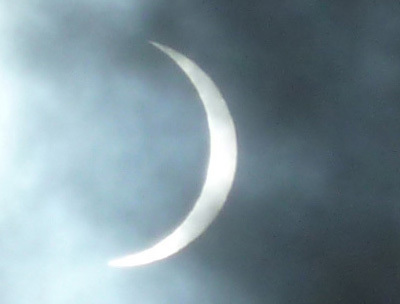 The thin crescent of the partially eclipsed Sun was visible behind thin cloud. 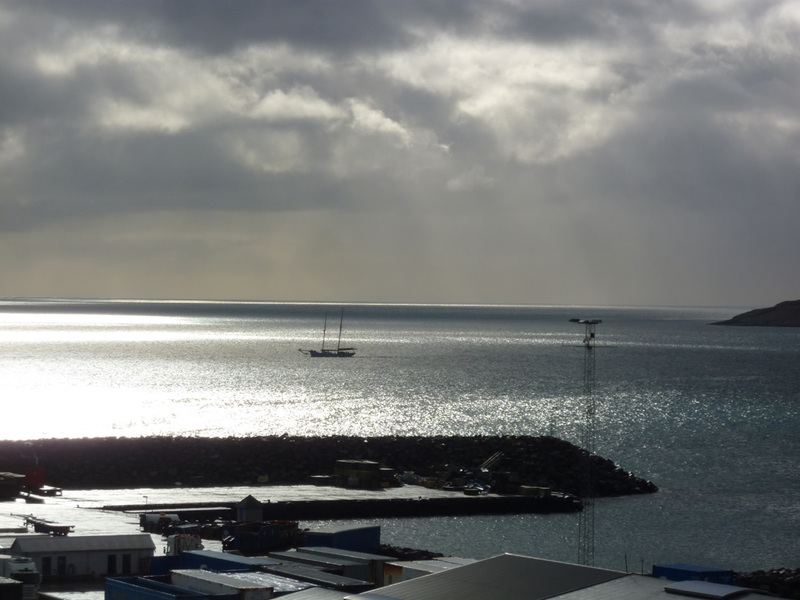 The light was a silvery colour bathing the sea ahead of the ferry. The gulls flew back in a flock. The remainder of the eclipse was clear as the Sun shone brightly. Eclipse glasses were needed to see it. It is always important to protect your eyes when watching an eclipse. Any eye care professional would recommend using either eclipse glasses or a simple pinhole projector. It had been a frustrating and disappointing eclipse. Just as totality was approaching there was light rain and my camera battery failed. The clouds parted seconds after totality ended. 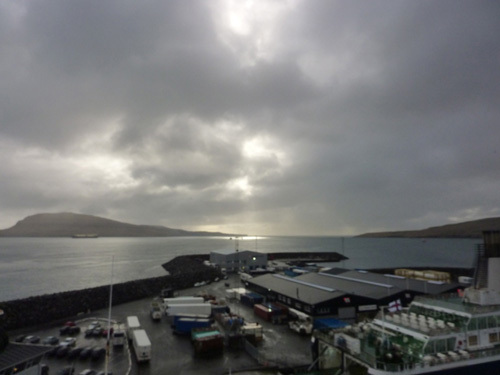 We later learnt that parts of the Faroes had seen totality. 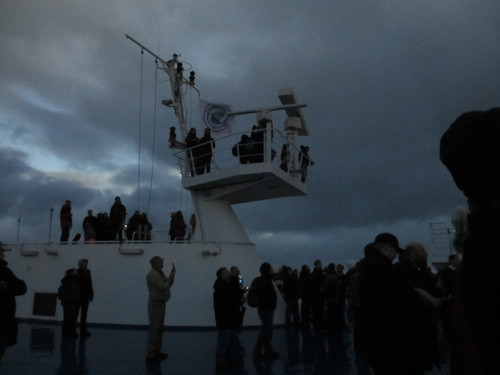 Some of the ferry crew who lived just outside Torshavn had been home and seen the full event. Most of the region close to the airport had had clear skies for the entire eclipse. One couple had gone just over the nearby mountains and had seen most of totality. A ship out at sea had seen nothing but high waves. Our original eclipse site in the far North had been clouded out completely. It seemed to be luck if totality was seen - and we had been unlucky. 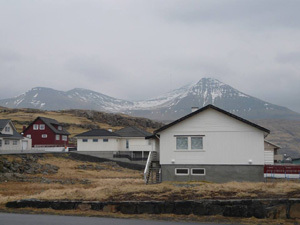 The only other landfall for this eclipse, Svalbard, had clear skies but temperatures of minus 17. We heard of one person being attacked by a polar bear. Out of the 15 total eclipses that I have attended, I have now seen 12 and been clouded out for 3. It had been a great trip and we never regret going even if we are disappointed by the weather. We are more likely to regret not going. We had met lots of people and had seen lots of great scenery. 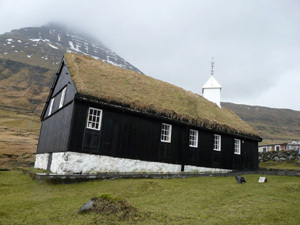 The captain gave me a book by a Faroes' photographer to say thank you for my presentations. Many emails were exchanged. Plans were being made for the next eclipse where we'll be eating sate instead of pickled herring. We sailed back to Denmark and took the train to Copenhagen. After a morning there we flew back to London. Our short journey was over. The eiree grey post-Totality light over the sea. The Moon's shadow passing over Torshavn. Written account and all text descriptions. 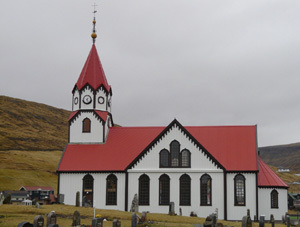 (© 2015). All programming, video and photo editing. Before and During Totality. Post Totality Light. Partial Phases (9:43, 9:44 and 9:49). 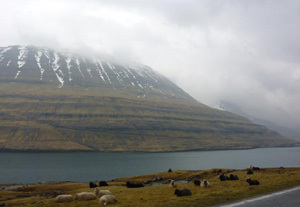 Views of the Faroe Islands. Aurora. 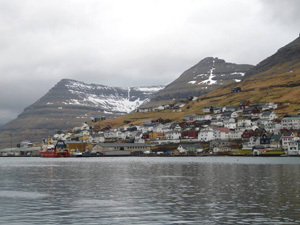 Ferry to the Faroe Islands and cabin accommodation, breakfast and evening buffet meal. Arranged for me to give eclipse presentations on ferry. Library card, free internet access. Pre-ferry accommodation, free drink on (late) arrival. The 2015 eclipse main page. Maps of the path of the 2015 eclipse from Fred Espenak and eclipse details at the observation site. People from the 2015 eclipse. Food from the 2015 eclipse. 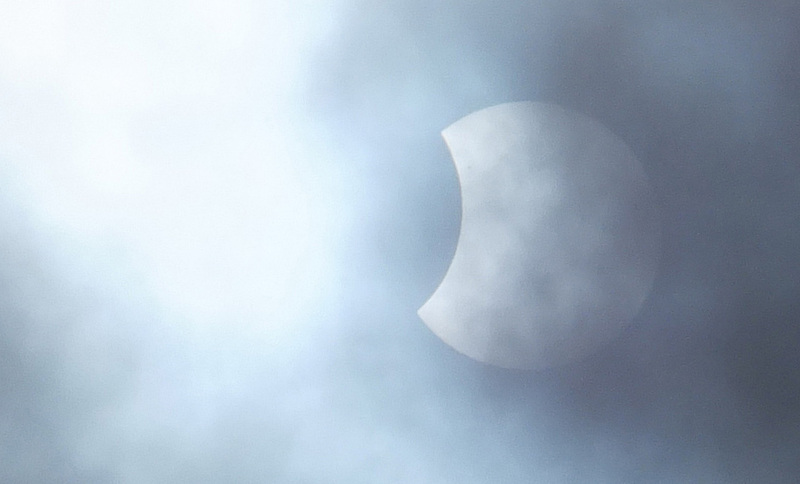 General photos from the 2015 eclipse. 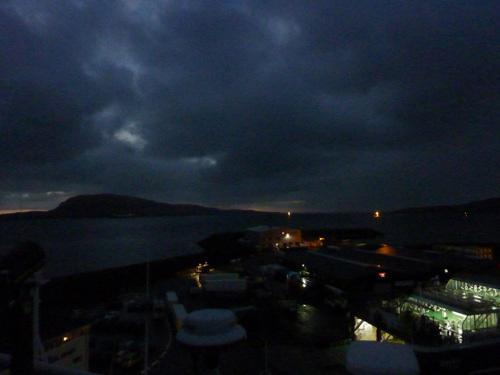 The eclipse (including totality) from the Faroe Islands (Varga). 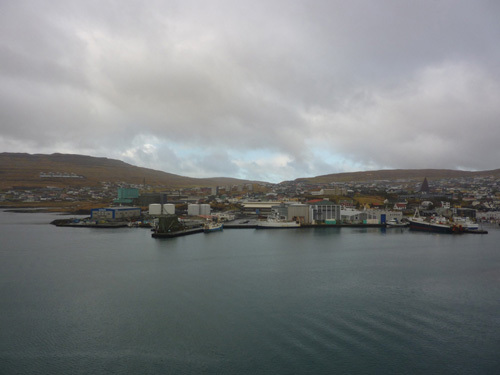 The BBC broadcasting a time lapse view over Torshavn as the shadow passes. The eclipse from Svalbard (Norway). 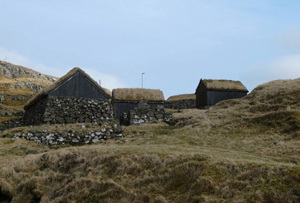 Chickens during the eclipse in the Faroes. 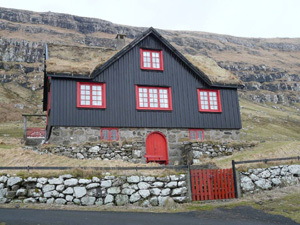 Faroes folk group singing in front of Totality.